Who doesn't want that flushed rosy cheeks that say romance. The new PixiGlow Cake is here to hasten the effect, without you breaking a sweat. With two shades included in the release - PinkChampagne & GlidedBare, which seems to be a 'no-fuss' blush, flattering all skin tones and perking things up. But is it really fuss-free ? Let's find out..
PixiGlow Cake is a light-diffusing palette that helps to achieve natural healthy, radiant complexion with flushed apples of the cheeks, subtle contouring and glowing highlights. The shades in the gradient make it easy to create a sheer wash of luminous colour that enhances your PixiGlow ! You'll LIKE it because it's an all-in-one product - blush, highlighter, bronzer and maybe eyeshadow too ! You'll HATE the hassle of having to use it with a brush. Not that brush-free kinda product. 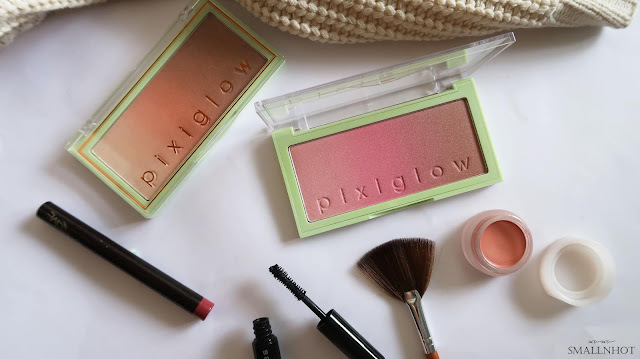 People have been talking about this PixiGlow Cake blush since its release but it was only last week that I finally got to play with it. I can see what's all the fuss is about. The color is indeed very natural and it negates the need for more color or contour in one step, and the best part is that you can barely tell it's there. Honestly, it's tough to describe the tone that it leaves behind especially with the GlidedBare shade. It's so natural and perks things up to just the right amount and you can easily pair it with any lip colour. The PinkChampagne shade is surely pigmented, with one quick sweep it keeps things looking fresh on the cheek and the mix of pink and brown hues, keep the attention to your cheeks while subtle contouring to define your face. Everything sound pretty fuss-free until you are required to use it with a brush. Because I'm always on the go, so bringing a brush along is rather inconvenient and fingers don't seem to make the cut in blending the product on the skin. It gets very patchy if you try to blend it with fingers. 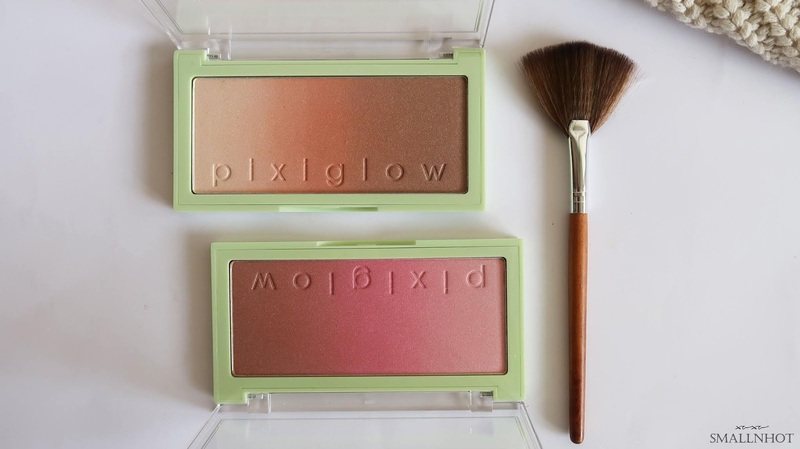 Well, that's the only downside I have with the PixiGlow Cake, other than that it makes a great highlighter, blush and contour palette. Really value for money !